Angry Birds has finally lost its Android beta tag and is now available as a full game from app store GetJar. GetJar seems to be on a bit of a mission at the moment to make all mobile phone games free. It recently teamed up with Glu Mobile (who makes DJ Hero amongst others) to make one free Glu game available every week and now it has nabbed the exclusive of the full version of Angry Birds for Android. "Selecting GetJar as the place to launch our first ever full Android version of Angry Birds was an obvious choice," said Rovio's Peter Vesterbacka. "GetJar's global reach and popularity as well as their unique App It! download service ensures that we reach a massive audience of fanatically loyal Angry Birds addicts." This will be something of a kick in the teeth for Google who relies on Market for its app distribution. The full version of Angry Birds will be free for the time being on Android, as it will come with Google/AdMob support and there will be some in-app purchases coming to the Android version of Angry Birds at a later date. This sounds like the Mighty Eagle which was originally exclusive to cheating Nokia users. 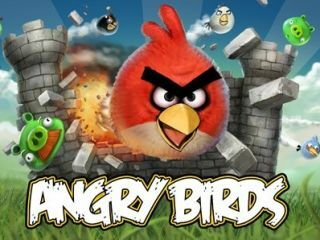 Go to www.getjar.com to download Angry Birds. The site seems to be rather slow at the moment, so we're guessing it is proving popular. But make sure your phone is ready for it: if you're rocking an Android phone, head to Settings, Applications then make sure the box 'Unknown Sources: Allow install of non-market applications' is checked before you download.